We are delighted to announce that our proposal for the third edition of the F2C-DP Workshop has been accepted by Euro-Par 2019. This is a natural prosecution in the research activities and dissemination in the field of Fog Computing, the Fog-to-Cloud approach, and related research aspects. 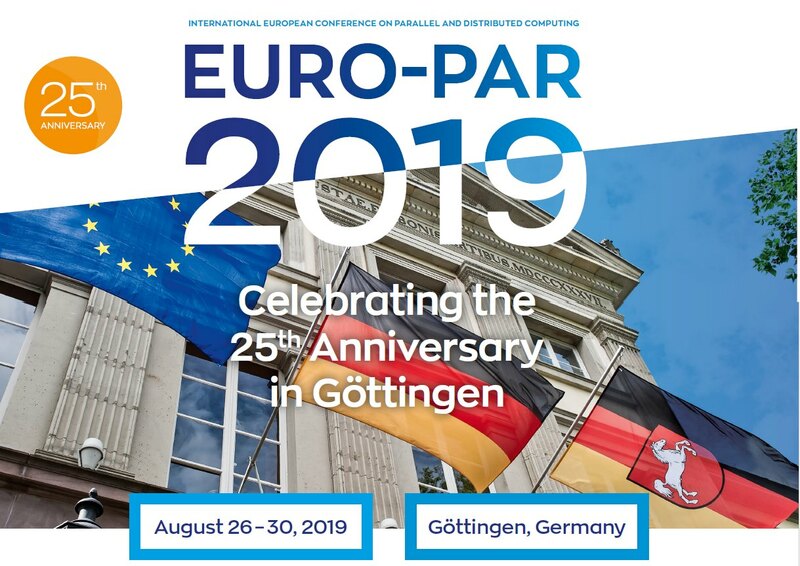 The Euro-Par International Conference will be held in Göttingen (Germany) in 26-30 August 2019. Future service execution in different domains (e.g. smart cities, smart transportation, smart energy, e-health, etc. ), will rely on a large and highly heterogeneous set of widely distributed devices, located from the edge up to the cloud, empowering the development of innovative services. Such a distributed scenario is demanding substantial research efforts towards a novel management architecture, enabling a coordinated and efficient management of the whole set of resources. Ongoing efforts are already devoted to overcome some of the envisioned management challenges, today visible through two main incipient research initiatives, the OpenFog Consortium reference architecture and the mF2C H2020 research project, the latter leveraging the proposed Fog-to-Cloud (F2C) concept. In such envisioned scenario, the main objective for the proposed workshop is to set the ground for researchers, scientist and members of the industrial community to interact each other, fueling new discussions in the emerging area coming out when shifting distributed services execution towards the edge. Analyzing the way existing programming models and distributed processing strategies may support such a scenario and to what extent these solutions should be extended or just replaced, is also fundamental to support the expected evolution in edge computing, taking care of security and privacy aspects as well. The workshop aims at opening new paths and feeds for research in a very innovative and challenging scenario. The workshop aims at bringing together the community of researchers interested in new applications, architectures, programming models, applications and systems based on these computing environments.